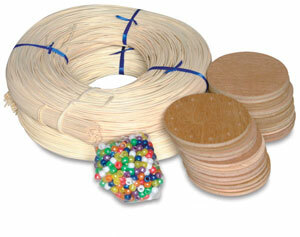 Classroom project kit includes enough #3 round reed, beads, and wooden bases to weave 25 baskets. For grades 4 through high school. Fully illustrated pattern sheet shows step-by-step procedure.